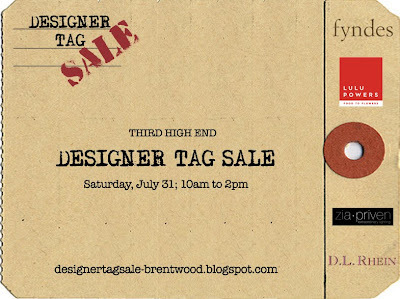 Vanessa De Vargas of Turquoise, Vanessa Kogevinas, Carrie Carr and Erin Castellino of Little Castle Productions, and Mark Castellino of Fyndes are putting on another fabulous Design Tag Sale, taking place in Brentwood. I recently came to the realization that I have accumulated a lot of extra designer and vintage home furnishings that are taking up quite a bit of space in my garage, so...I signed up to sell at the up coming tag sale! I'm so excited to be a part of it. 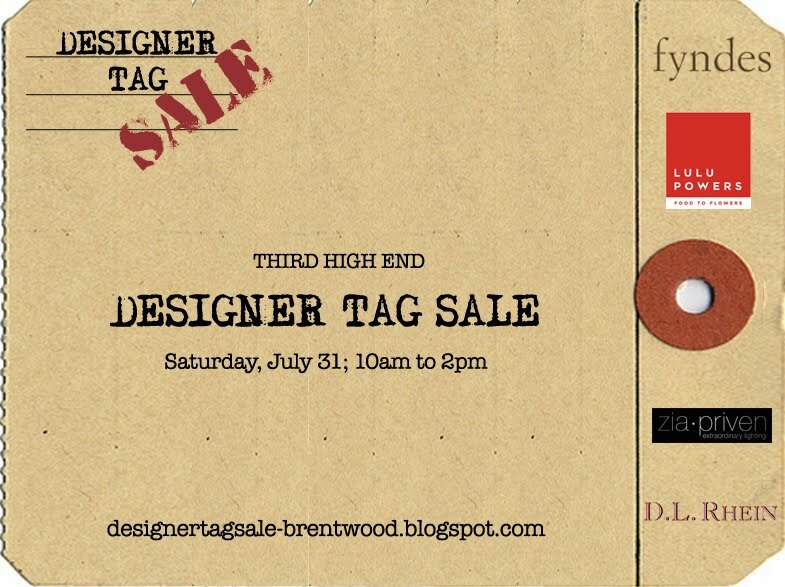 These tag sales are always so fun and a great place to score home goods hand picked by designers, so I highly recommend you make the trek up to Brentwood and check it out. Read more about the tag sale here! Way to go Brittany! I wish we could stop by. Good luck! I had a prior commitment so I was not able to make it. Bummer. Did you take pictures? I would love to see what I missed out on.